Step into this charming room, harbouring loving personal touches, and an incredible amount of flair. 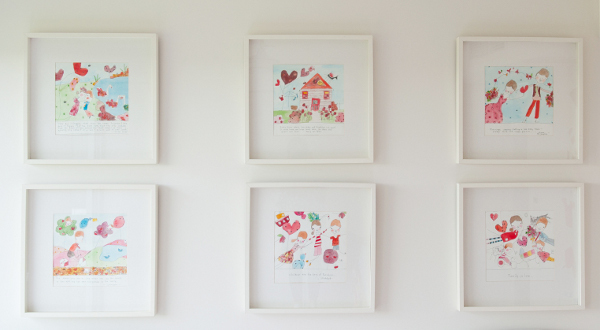 We recently showed you the fabulous nursery of two-year-old Kirby. Here is his three-year-old sister Cleo’s equally stunning space. 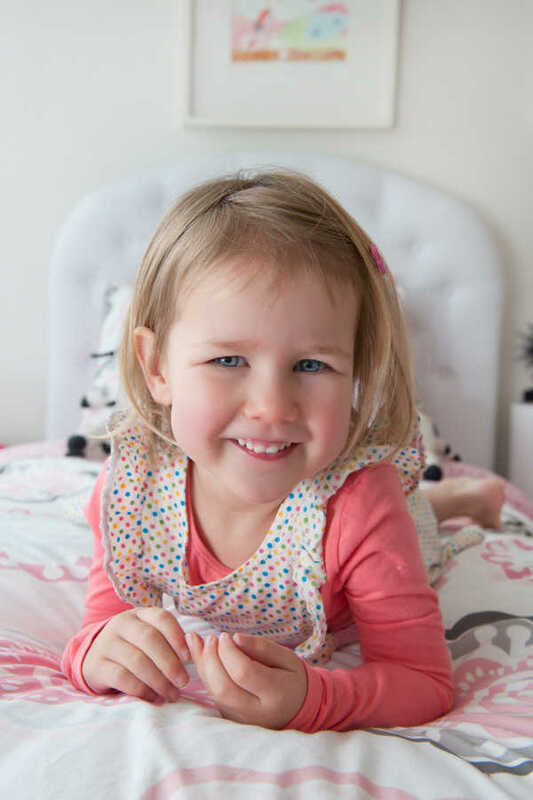 Mum Kelly says Cleo had been a nomad during her little life, starting out with her own room, then sharing with her sister Lexi when the family moved house. Now that the family is in a new house, the girls again have their own rooms, but Cleo still has two beds, so her sister can join her for a sleepover any time! Before Cleo was born I asked Meredith to do a series for me based on our lives so far. I gave her key milestones and she worked her magic, added quotes she had found and brought our lives to life. I treasure these works and how personal they are. It is something that Cleo will have forever and I hope one day they are in her daughter’s room. Cleo also has a giant Meredith custom sticker. She loved the boats that Meredith does when we sat down and looked at her works so we asked for the three kids and two dogs all to be on the boat. They love looking at who is doing what and the detail of the boat is amazing. 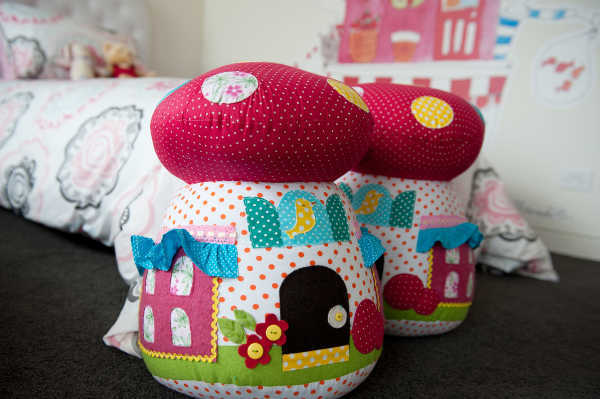 Kelly did plenty of research into finding the perfect beds for Cleo’s room, even conducting a straw poll at work to see which of her final choices was most popular. In the end she went for an understated option, sourced from Urban Empire. We’ll show you Cleo’s big sister’s divine room soon.